I was tempted to work on some Askaris for East Africa but I think the moment has passed. Remember that list of tanks I said I'd have to get NEXT YEAR for the Canadian Campaign in North West Europe...? Anyway, here are a couple new things rolling off the workbench. 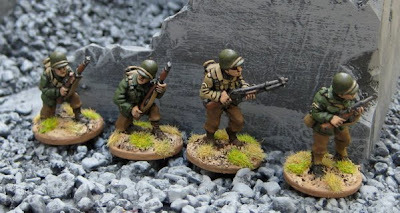 A handful of British Commandos from Artizan Designs. Didn’t really NEED them… just got a “good deal”… and there was only eight and they were the only things in that drawer that were painted… so I quickly got them done and out of the way. British Desert Special Forces are once again COMPLETE! A couple of the old harlequin (now Black Tree Design) Americans I painted up as samples… I kind of wished they’d all be in the Parsons jackets (the tan one) – which would make them a bit more versatile (Mediterranean, D-Day) – but it seems a number of them are the longer M1943 four pocket jacket… Ah well… Nice figures. I’ll have about a platoon by the time I’m finished. This is a sailor I modeled and cast myself. I have a bin full of them. Thought I’d paint one up for fun. It was pretty quick and easy so I might just paint up another dozen or so… Not sure what I’d use them for exactly… I mean, really, how many Sailors do I really need!? Hard to say… there’s so much stuff on the workbench. Once I get all the priming and prepping done I’ll probably launch into the Russians. Who am I kidding… by the time I’m done all this prepping and priming there’ll be MORE figures here ready to be prepped and primed and far more interesting (distracting) than yet another horde or soviets!? 112+864= 976 28mm figures purchased so far this year. I've been taking stock of the WW2 stuff and trying to decide what to do next. Now that this order has arrived I'll probably start with the Russians - but then what? I was looking for projects that would be quick (i.e. the least number of things to paint up so I can have that encouraging feeling of satisfaction at having finished all of something). 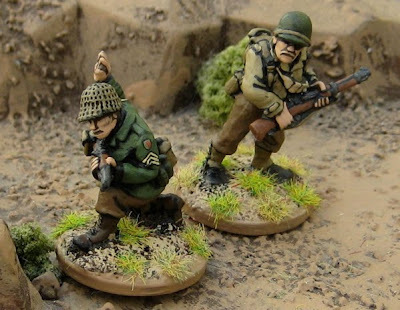 Unfortunately the smallest projects are the least useful; Desert Commandos, more Japanese, Bersagliari, etc. There are a number that are pretty much all in the same boat - two to three batches of eight to twelve figures that will take about two weeks to complete (doing on and a half batches each week ~15 guys) if I stick my nose to the grindstone and not get distracted... Canadian Airborne? British Commandos? DAK? SS? Fallschirmjägers? They're all more or less in the same boat. After that are projects that will take about a month to complete - Canadians, Americans, German Heer, Italians... I'll probably break those bigger groups down into smaller groups just to break them up a bit. 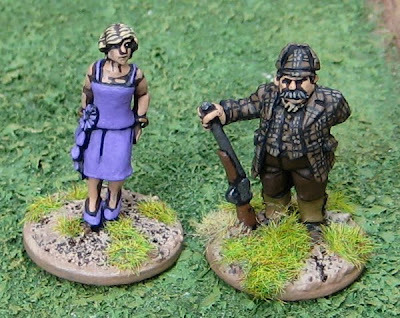 These are actually the last two of the German Sailors I was working on last week. As with the sailors I wanted maximum usefulness out of them. The Sailors I painted in blues as they did wear blues in the tropics, but didn’t wear white/khaki in more temperate climes – certainly not in the winter. 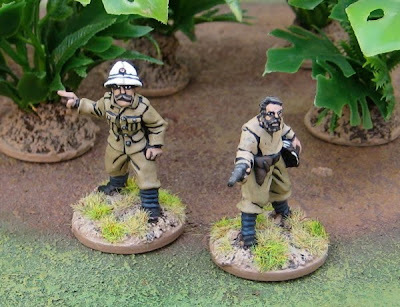 These two chaps both have pith helmets, however; not a temperate headgear. So I painted them in khakis (which naval officers apparently wore on shore) and figured I could also try and pass them off as Shutztruppe officers. These are both from Brigade Games. 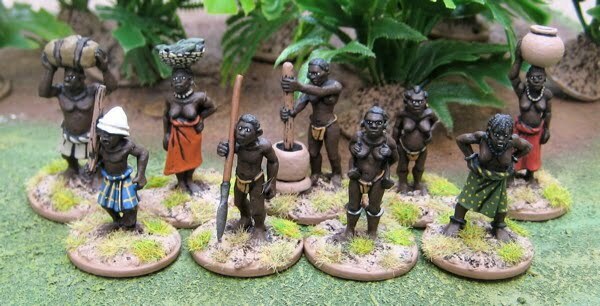 I am tempted to crank out an additional unit (or two) for each of the combatants in east Africa. I also picked up enough American infantrymen to field a platoon of those… and some more Germans, because… well… because they were there and they were cheap. I also put in orders to Artizan Designs/Crusader Miniatures and Bolt Action Miniatures just to pick up a few items I needed so I’d be able to field full platoons of a few forces. Everything else on my WW2 wishlist is in the realm of “nice to have”. This should keep me busy for the rest of the year – and, if I keep my nose to the grindstone, I imagine I should very easily be able to finish up ALL the 28mm WW2 stuff that I have. The only thing threatening to derail this project is the Great War in East Africa. After painting up those Africans and German Sailors I started re-reading Contemptible Little Armies and re-basing the rest of my East African figures (to the larger sized washers that I’ve been upgrading all my old figures to to standardize the collections…). 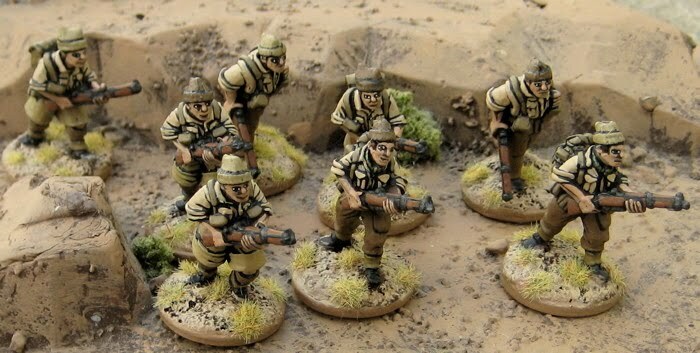 I’ve even dug out a few of the askaris I cast up ages ago and based them to paint up. 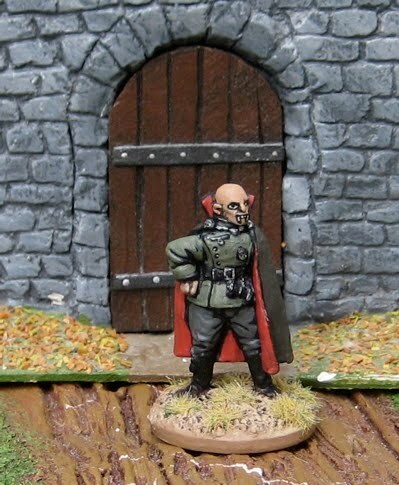 I’ve been having a lot of fun with the East Front skirmish Campaign I am currently running. But I have to admit I’ve been getting pretty excited about doing a Canadian Campaign for World War Two. I’ve kind of settled on doing a campaign set in Northwest Europe, beginning with D-Day. I guess I could have done one starting with Operation Husky (the invasion of Sicily), which the 1st Canaidan Division participated in. I’m not ruling out doing a Sicilian/Italian campaign, in fact I’m pretty sure I’ll do a Sicilian/Italian campaign as some point. I’m far more familiar with that campaign. The fact is, however, the Canadians I’ve been working on lately are more suitable for Northwest Europe. The idea of a Canadian campaign has almost distracted me from the current East Front Campaign. Fortunately, having given the Canadian campaign some further thought I’ve realized I have a lot to do before I’ll be able to get that off the ground. I imagine the campaign will follow a platoon of The Regina Rifles from D-Day to VE-Day. Ideally I’d like to find a good history of the Regina Rifles – preferably some personal memoirs – to use as a scenario generator. The Saskatchewan Information and Library Services shows three books on the Regina Rilfes (Look To Your Front, Up the Johns, and The Regina Rifles) I’m sure I’ve had one of those out and it was pretty good. I’ll have to check out the others as well. If anyone else knows of good sources of info – in particular any good, readable memoirs – please post a comment!! Then there are the supporting tanks of 1st Hussars… Of course if all the players are in one platoon, or even one section to start with, I’d really only need one Sherman, maybe two… but that’s one or two more than I currently have and I’ve pretty much expended my gaming budget for the year… so… (if anybody’s wondering what to get me for my birthday… or has one and wants to trade for a pile of 15mm ACW stuff…?). 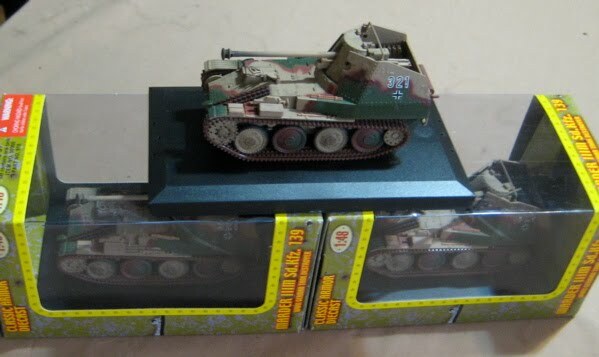 That’s just the Canadian tanks… Very shortly after D-Day I’m quite certain I’ll be needing some tanks for the 21st Panzer Division and/or the 12th SS… I do have a Panzer IV, but I’ll probably need some of the big cats as well (Pumas and Panthers and Tigers, OH MY!). And maybe some early war French tanks – that 21 Panzer Division was supposedly equipped with. Of course that would probably just be an excuse to start an Early War French force…. I have almost enough Canadians for two full strength platoons (once I get them all painted) – I may be shy a bren gunner or two and a couple riflemen… but when were any sections at full strength anyway!? Other than the tanks I also have some 3” mortars for support – not that they would even really need to be on the table…!? I should probably pick up a six pound AT gun (support from the battalion AT platoon) and maybe a 17 pound AT gun – from Divisional AT Artillery battery. Other artillery would all be off table. 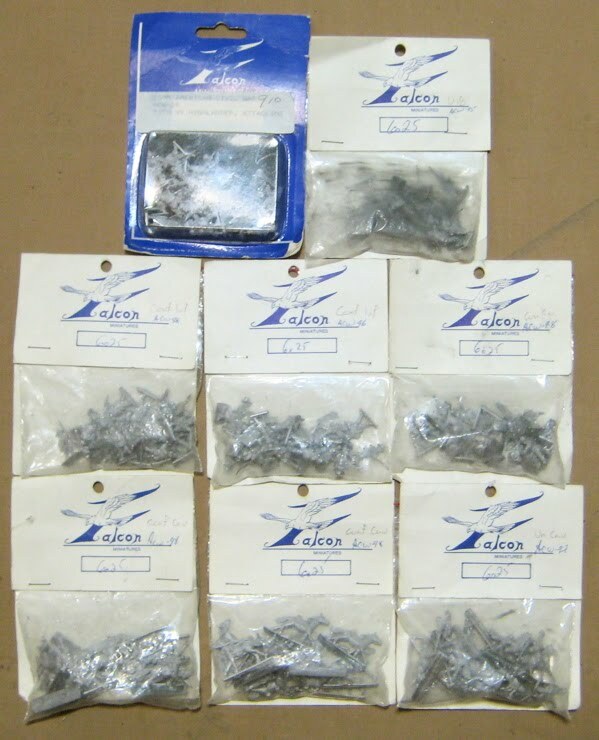 For the Germans I’ll have enough regular Heer for two full platoons as well, plus a great deal of odd extra support things – engineers, AT guns, etc. They will all do for the 716th Division soldiers and could be pressed into action as panzer grenadiers from the 21st Panzer Division. 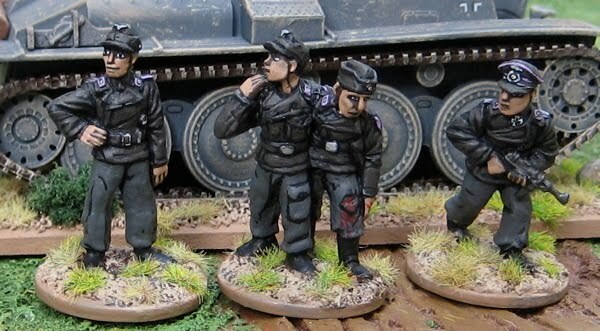 I also have enough SS to make up a full panzer grenadier platoon for when they bump into the 12th SS. I’m not sure if I really need half tracks…? Back to WW2 items… I have some additional Russians I picked up cheap and want to keep on top of those so they’ll be finished up right quick. Germans of one sort or another! What would I want in trade…? Have a look around the blog and you’ll probably get a pretty good idea of what I might be interested in. 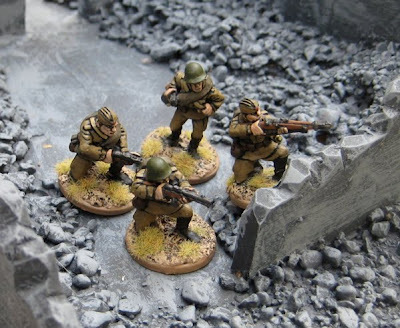 I’d be interested in something in 28mm metal (or resin if vehicles…). 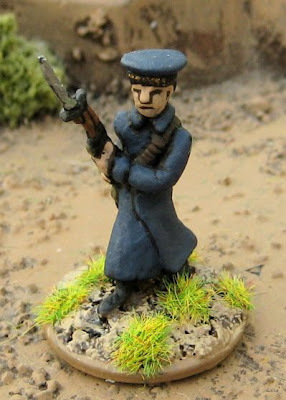 Right now I’m mostly interested in modern (post 1900-2010) stuff – in particular WW2 (and WW1… and the inter-war period…)… but I wouldn’t rule out other stuff – fantasy, ancients, dark ages, ECW, WSS, SYW, colonials, VSF, Sci-fi… it’s all good! I also wouldn’t rule out trading for any interesting books…? Anyway if you’re interested post a comment below with information about how I can contact you. Comment moderation is ON, and I won’t actually publish any comments containing email addresses or anything!